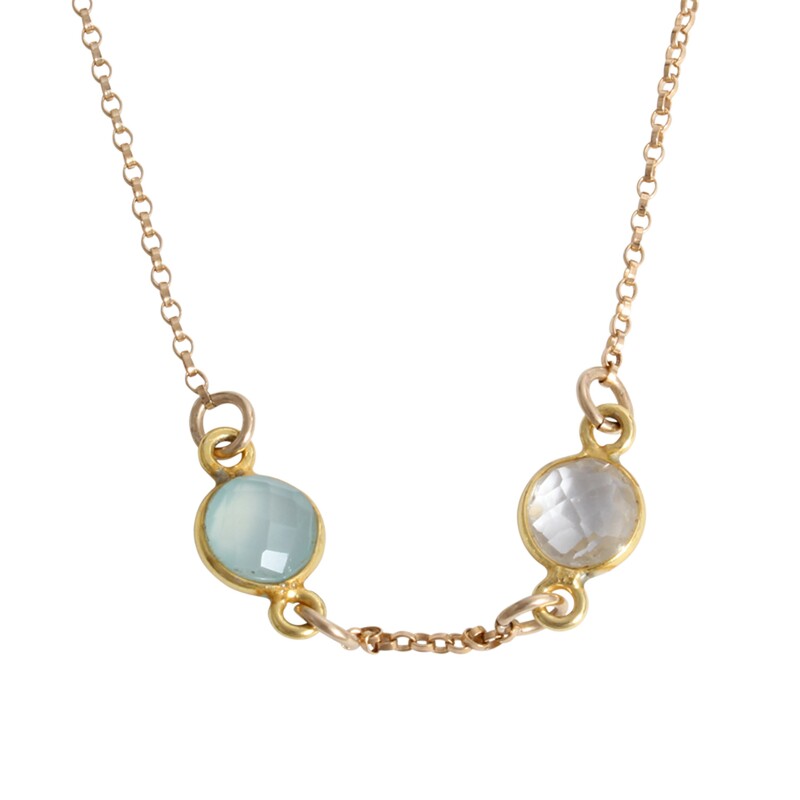 This necklace represents the colors of your life with the birthstones of those you love. For a mother of two you can make it simple with two stones or add more stones for other members of the family. The Pride and Joy necklace is a timeless piece of jewelry and looks great with one stone or up to nine. Mother of two ~ make a simple necklace with just two stones or add more for other members of the family. Count your little blessings with our new Pride and Joy mother's necklace! We think it is a simple and classic way to keep your family with you at all times. The listed price is for two birthstones; if you add more stones the price will increase.